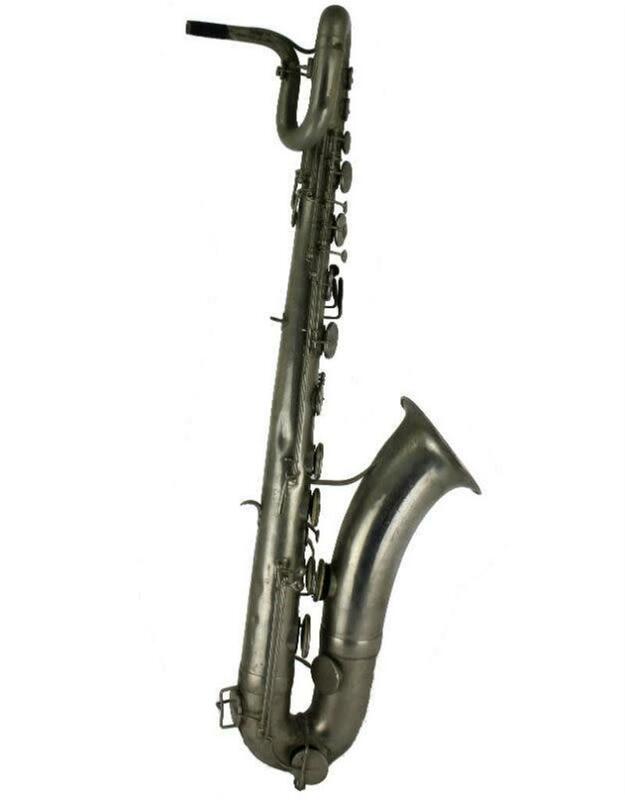 This Eb baritone saxophone was created between 1867 and 1878 by Francois Millereau, a French maker whose firm lasted from 1861 through 1931, eventually being bought by Selmer. 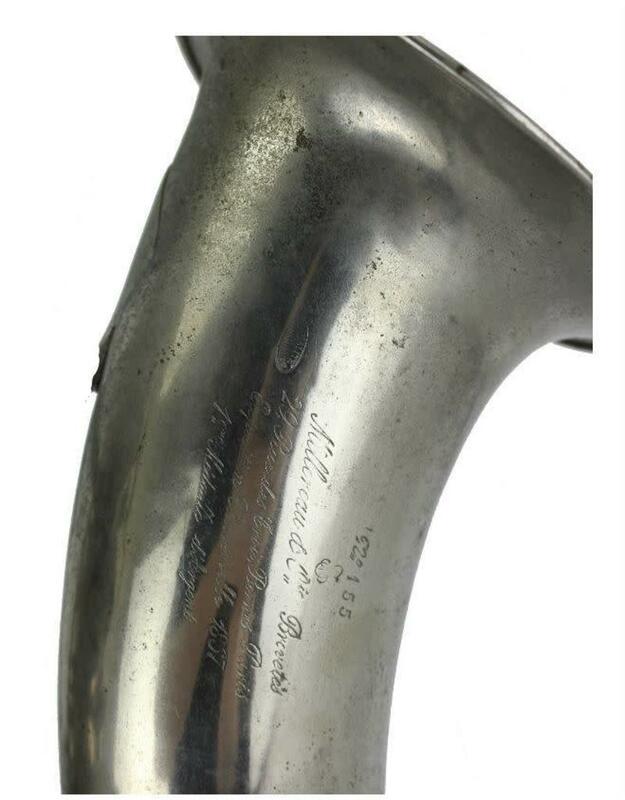 Millereau started by working for the prominent Parisian firm F. Besson in 1861 and only a year later had already started working independently making Adolphe Sax instruments under license. 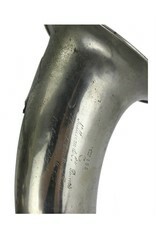 By the time this instrument was produced (likely the early 1870's), Millereau had a full line of brass and woodwinds for sale. 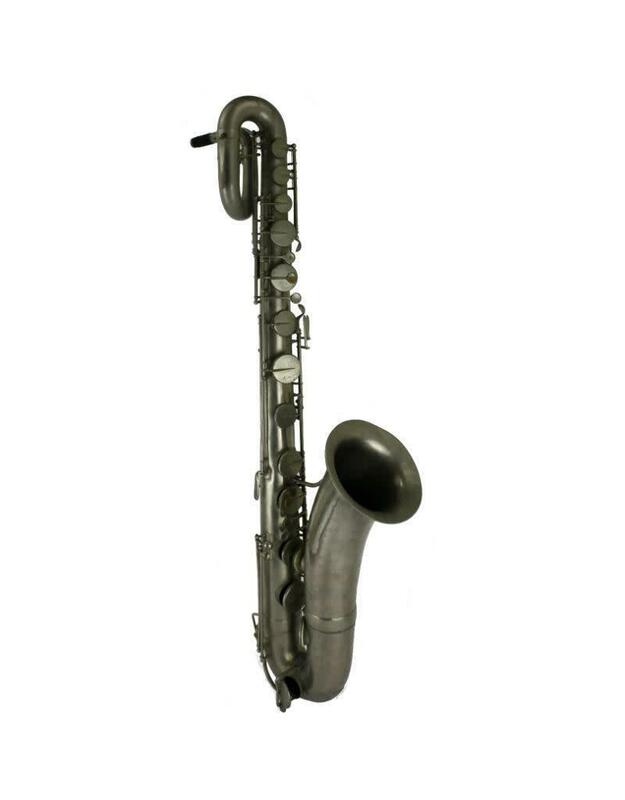 This instrument is an interesting example of the growing pains, both physical and legal, the saxophone went through in the first half century of its existence. 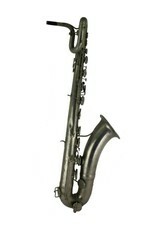 Although it is not labeled as a Sax-licensed instrument, Millereau likely borrowed quite heavily from Sax's design and would go on to develop his own "Systeme Millereau" in 1887, bringing several improvements and modifications to the keywork of the instrument which are present to this day. 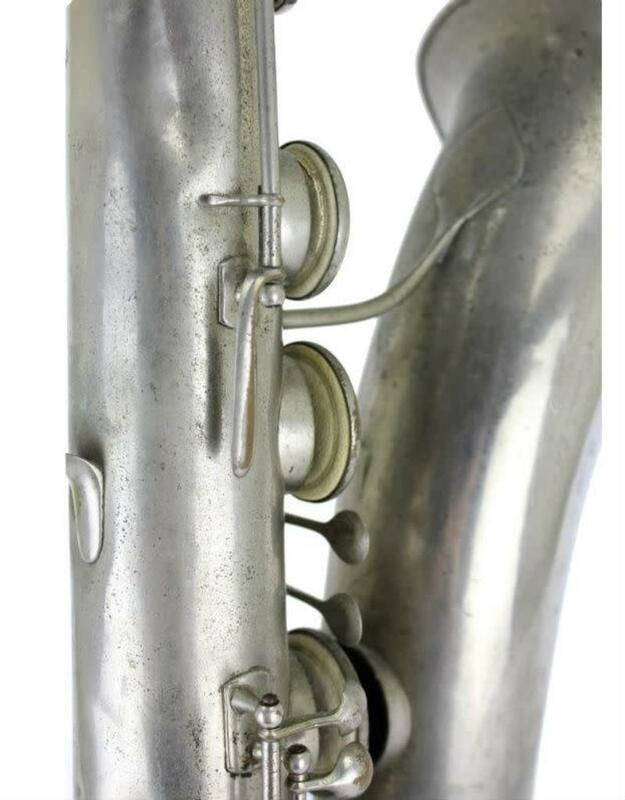 Interestingly, this instrument bears a mysterious monogram mark that is not the same as the well-known treble clef "do-sol-do" mark known to Millereau and was likely an early mark (it bears stylistic resemblance to the Besson mark and was probably something Millereau developed based on his experiences there). 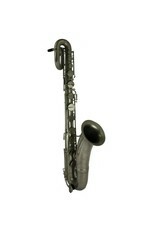 The instrument is in restorable condition. 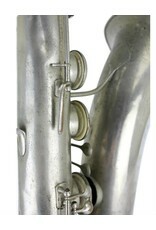 The tone holes soldered on and all keys are present, with minor plating wear.